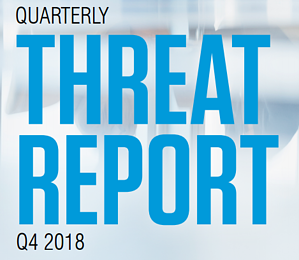 The latest data from Proofpoint shows many types of cyberattacks making massive jumps in comparison to both previous quarters and years. We’d like to think the good guys are winning the war against cyberattacks. With improved solutions, better best practices, layered security strategies, and more, one would expect to see declines in attacks. Now, some of this increase can be attributed to the good guys stopping more and more attacks (requiring more cyberattacks to achieve a desired revenue result for the bad guys). But, if your organization doesn’t have an appropriate security strategy in place (and we’re not talking just AV on the endpoint here…), it’s reasonable to assume that these massive increases will result in a higher number of successful attacks. What’s needed is a layered approach to preventing, detecting, and thwarting online attacks. This includes scanning of email, web, and DNS, along with endpoint protection. But software only addresses some of the attacks, as many still get past software-based defenses. Users need to become a part of the defense strategy, undergoing continuous Security Awareness Training to educate them on the kinds of attacks currently being used, how to identify them, and how not to make themselves – and the organization – a victim. Would your users fall for CEO Fraud and other social engineering attacks? Take the first step now and find out before the bad guys do. 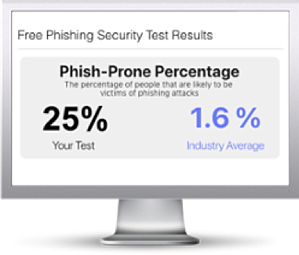 Plus, see how you stack up against your peers with phishing Industry Benchmarks. The Phish-prone percentage is usually higher than you expect and is great ammo to get budget.